The title says it all - I've been most neglectful on here and I can only apologise. Between work, running, singing and the full time job at home, I've barely got time to sit down and chill...not to mind blog! But I've a few posts I really have to do and this weekend coming is a less busy one so I'm looking forward to catching up. 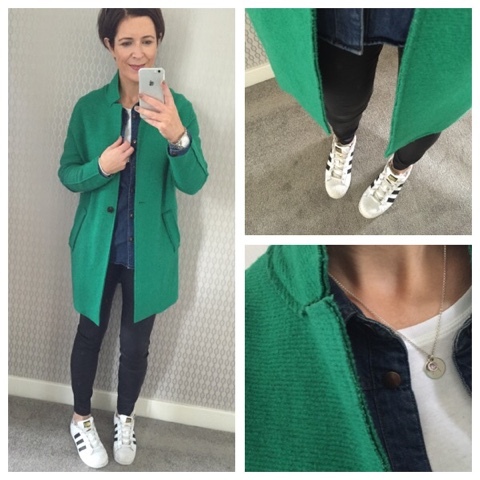 The Zara green coat got an outing...its first of the season! And it's officially skirt season (as you'll see scrolling down). They're perfect for work and make a nice change from my faithful denim. 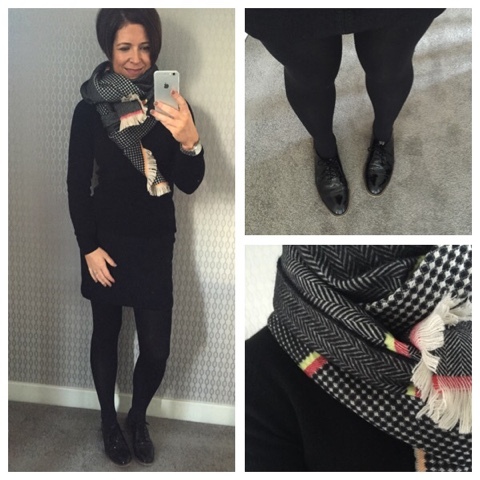 Wore the cropped hush trousers on one of my work days - this time with loafers. 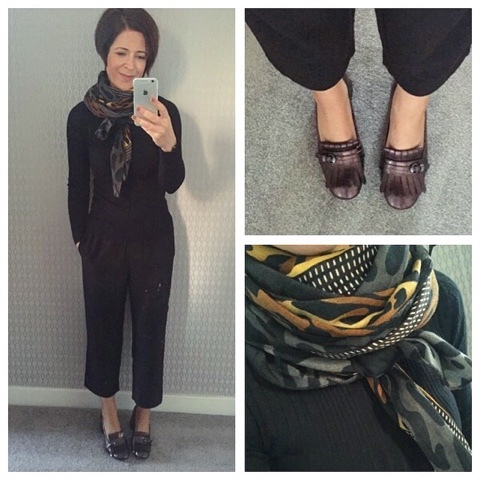 I've not worn these M&S loafers as much as I thought I would so I liked that they work with these trousers. 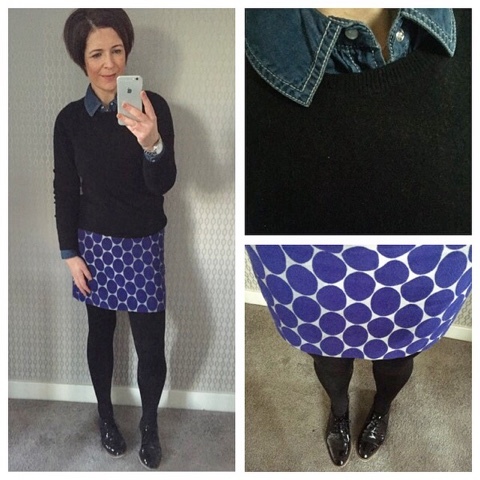 Next outfit was for Saturday when the twins had their birthday party. I wasn't going to do a school party as there have definitely been fewer of them this school year but they begged and begged and then my friend Emer who works at Odyssey Cinemas told me about the cinema/pizza deal they do so I succumbed and actually, we had a fab time. No stress involved at all for me - and the kids had a ball too! 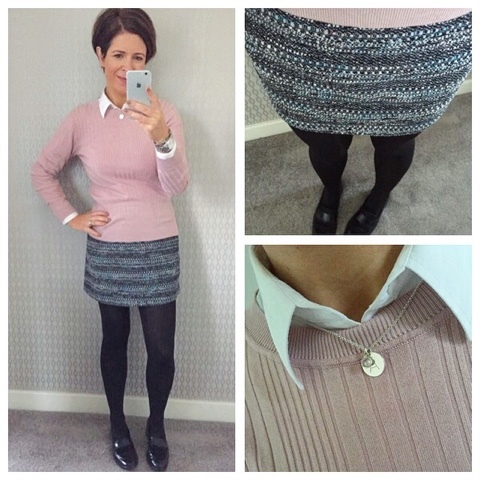 It was the first of the baltic days so I gave my new John Lewis cashmere jumper a go....WOW...separate blog post coming. And my choir's new CD has launched and is available on iTunes, Spotify and online in good old CD form on this link. We had so much fun making it - there's a video of us in the studio on my Facebook page if you'd like to see it! Gorgeous outfits, you look great in all of them! Looking lovely Avril, will check out Bog Standard .